The Global Positioning System was invented during the Cold War. GPS navigation system was originally developed for the U.S. Department of Defense using 24 satellites. It was invented by Dr. Ivan Getting and the Department of Defense at a cost of 12 billion dollars. The US Navy began using the system in 1960 for ship navigation. The original set up used eighteen satellites. Six satellites were placed in three different orbital planes spaced 120 degrees apart. It had ground stations to receive the signals from the satellites. It was designed for the military and was up and running in the early 1960s for all branches of the military. The military used GPS to pinpoint ships and submarines in the ocean. They continued to improve the system and in 1973 the military began to expand the system to be used worldwide. A Korean Airline, Flight 007 was shot down when it entered the Soviet Union’s airspace. The civilian airplane had flown off course when it was shot down by the Russian military. President Reagan allowed GPS afterward to be used by civilians using a slightly degraded positioning signal. President Clinton signed an order for the military to remove the signal restriction in 2000. This allowed people to have full commercial access to the use of the US GPS satellite system. The first devices available to the general public cost $2,900 each. GPS has been miniaturized to just a few integrated circuits that have become very economical for people all over the world. As GPS gained in popularity the price of the individual units declined. 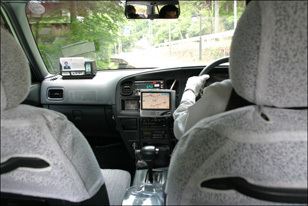 Today GPS receivers are in smart phones, cars, boats and laptop computers.